The celebrity lineup for this year includes Moonlight Drawn By Clouds star Park Bo Gum and Descendants Of The Sun actor Song Joong Ki. 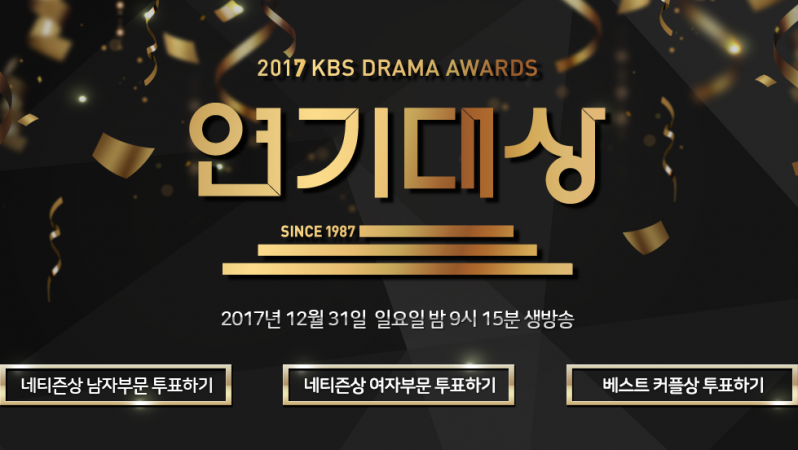 KBS Drama Awards 2017 is just around the corner. It will celebrate the best talents of the industry. The star-studded ceremony will kick- start with a live telecast at 9:15 pm KST on December 31. With an attractive list of attendees and celebrity performers, the evening will see some exciting and heart-warming performances. But before the event begins, here is a detailed roundup of the show. The star-studded award night will be broadcast live on KBS. Tune in to the channel at 7 pm KST on Sunday to check out the latest trends of the season as celebrities walk the red carpet before entering the venue. If you are not around your television set, click on KBS.co.kr to watch the red carpet arrivals and the main event online on the official website at the same time of the telecast. Korean drama lovers across the world can also watch the event by clicking here. The event organisers could also provide live updates on the official Twitter and Facebook pages of the network. Moonlight Drawn By Clouds star Park Bo Gum will be reuniting with his co-star Kim Yoo Jung for presenting the Top Excellence Award. Other prominent celebrity presenters are Descendants Of The Sun actor Song Joong Ki, Ruler: Master Of The Mask star Kim So Hyun, Are You Human, Too? cast members Seo Kang Joon and Gong Seung Yeon, Do You Want To Live Together? actors Lee Sang Woo and Han Ji Hye as well as Highlight's Yoon Doojoon.